From success with Leinster to Ireland, the Kiwi has certainly left his mark on Irish rugby. Summer 2010: Joe Schmidt takes over as Leinster head coach after a three-year stint in France as an assistant with Clermont. The former deputy principal had already spent time in Ireland when he worked as a player/coach with Mullingar RFC in the early 1990s. 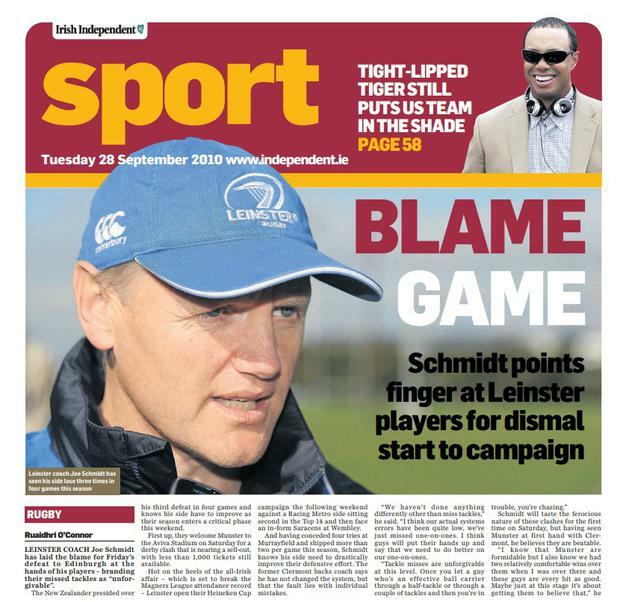 September 2010: Schmidt’s Leinster reign gets off to a difficult start by losing three of his first four games, including the opening game of the season to Glasgow, which led to some prematurely writing him off. 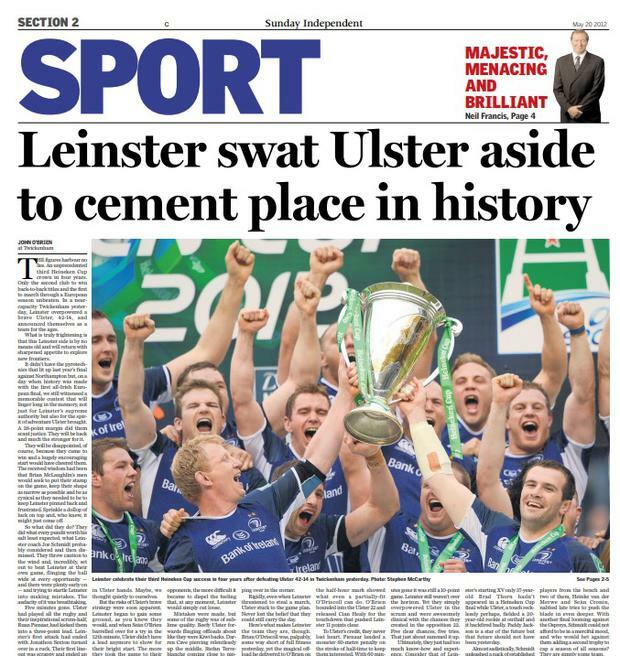 May 2011: Leinster launch a stunning second-half comeback to beat Northampton and be crowned European champions for the second time. A week later, Leinster are beaten by their arch-rivals Munster in the Celtic League final. May 2012: Schmidt’s side retain their European crown by hammering Ulster in the final and history again repeats itself a week later when the Ospreys see off Leinster in the PRO12 final. April 2013: The IRFU announce that Schmidt will take over as Ireland head coach from Declan Kidney at the end of the season. May 2013: Having been knocked out of the Heineken Cup at the group stages, Schmidt ensured that he finished his final season in charge of Leinster by winning the Challenge Cup by beating Stade Francais as well as finally getting his hands on the PRO12 trophy when his side saw off Ulster. 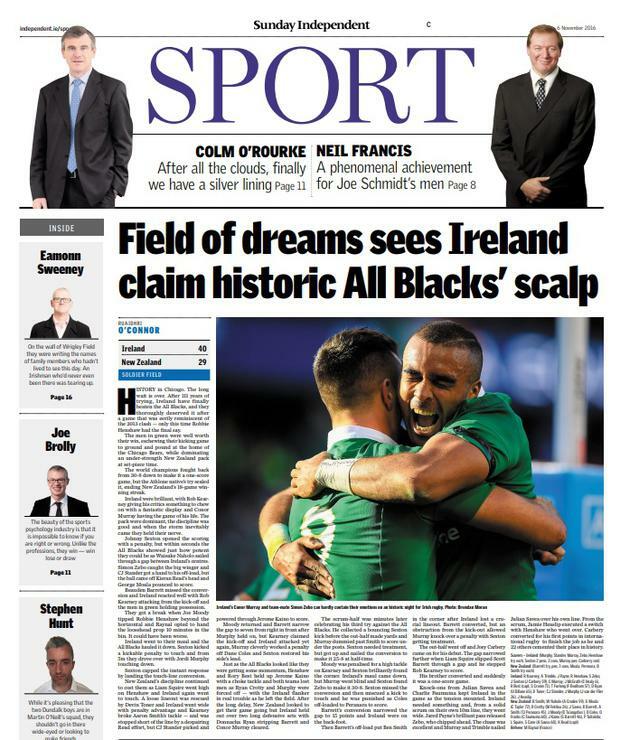 November 2013: Schmidt gets his Ireland tenure off to a flying start by thumping Samoa 40-9 before losing to Australia and then suffering the last-gasp heartbreak against his native New Zealand. 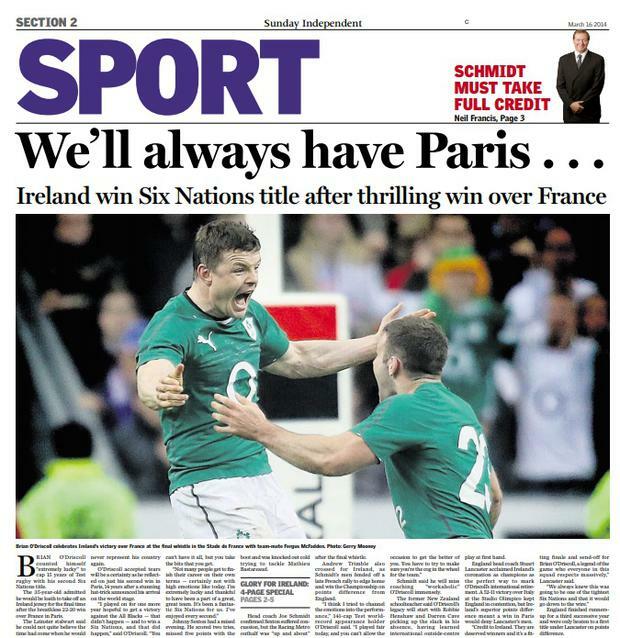 March 2014: Ireland defeat France 22-20 to lift the Six Nations title, his first silverware with the country. June 2014: Schmidt guides Ireland to a first series win in Argentina with the opening Test victory marking Ireland’s first ever win over the Pumas on Argentinian soil. November 2014: Ireland enjoy a clean sweep of Autumn victories over South Africa, Georgia and Australia, which moves them up to third in the world rankings. December 2014: Schmidt caps a good season by winning the Philips Sports Manager of the Year. March 2015: Ireland win their 10th game in-a-row after a 19–9 win over England in the Six Nations but that run soon comes to an end as Wales get the better of them. In the most dramatic final day in Six Nations history, Ireland, England, France and Wales are all in the chance to claim the title. Wales’ big win over Italy took France out of the equation, which leaves Ireland needing to beat Scotland by more than 21 points to knock Wales out of contention. They duly oblige with a 40-10 victory meaning England must beat France by 27 points or more but they come up short to leave Ireland as champions. July 2015: The IRFU confirm that Schmidt has signed a contract extension until 2017. 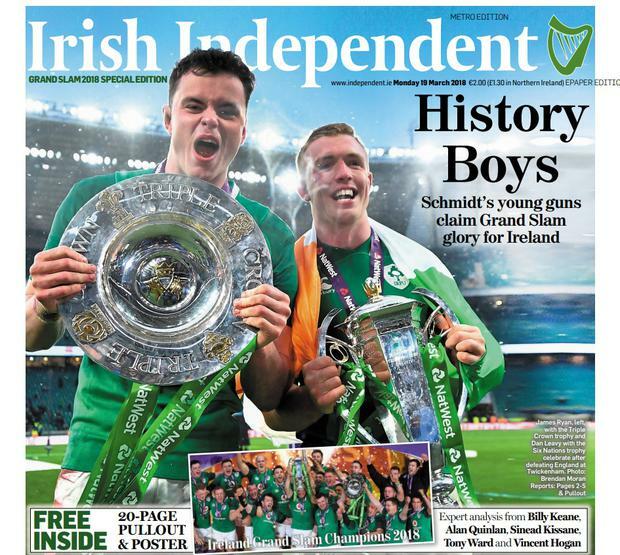 September 2015: Schmidt becomes an Irish citizen. Ireland begin their World Cup campaign with an easy win over Canada, which is followed by victories over Romania, Italy and France – the latter of which had a catastrophic effect on Schmidt’s plans. 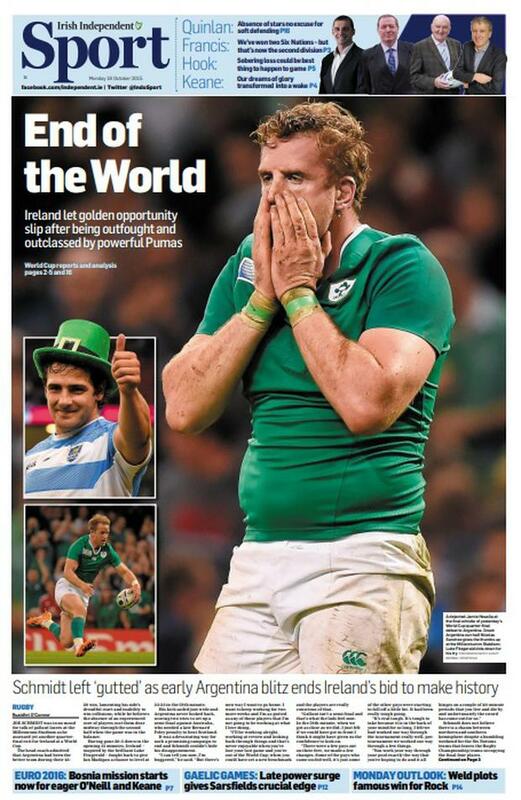 Ireland lose several key players to injury, and are then dumped out by Argentina at another quarter-final. March 2016: Ireland endure a disappointing third place Six Nations finish. 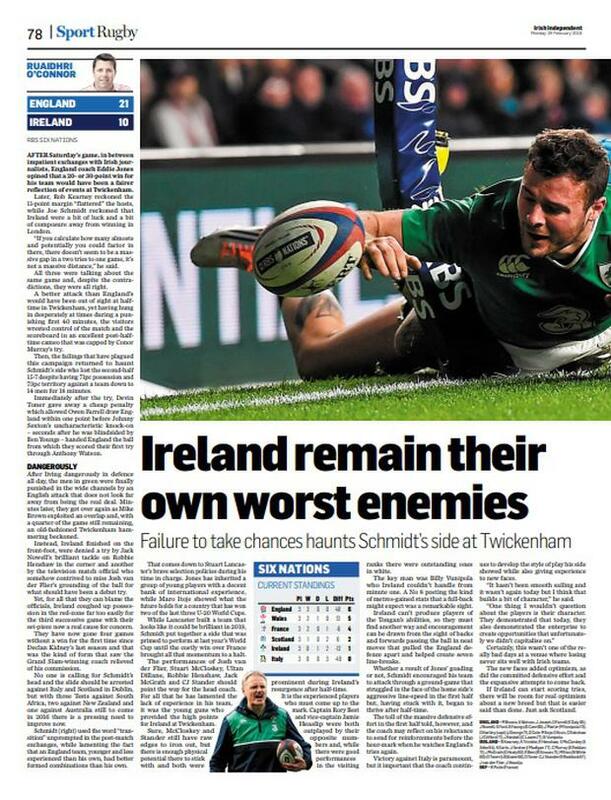 June 2016: Fourteen-man Ireland battle to a first win on South African soil but they go on to lose the following two Tests, which Schmidt views as a series that got away. October 2016: Schmidt signs a contract extension with the IRFU until the end of the 2019 World Cup. November 2016: An 111-year wait for a first victory over the All Blacks is ended by a stunning 40-29 victory in Chicago. New Zealand get revenge a couple of weeks later but Ireland end the month on a positive note by becoming the first team since England in 2003 to beat Australia, New Zealand and South Africa in a single year. 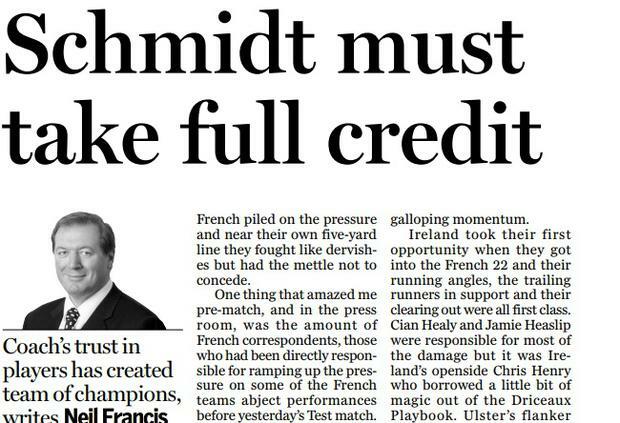 March 2017: Schmidt masterminds England’s downfall by ending their 18-game unbeaten run and dashes their Grand Slam dream. June 2017: After turning down the Lions, Schmidt focuses on Ireland’s development tour and his young guns beat USA and Japan twice. November 2017: Ireland maintain their winning run with a record 38-3 victory over South Africa and wins over Fiji and Argentina to move back up to third in the rankings. March 2018: A third Grand Slam in the country’s history sealed with a 24-15 win at Twickenham, which includes an unforgettable CJ Stander try after a classic Schmidt power play. June 2018: Despite losing the first Test, Ireland claim a first series win in Australia since 1979. November 2018: Ireland complete another clean sweep of November Series wins, including a stunning first victory (16-9) over the All Blacks on Irish soil. Schmidt is crowned World Rugby Coach of the Year, becoming the second Irish boss after Declan Kidney to win the award. 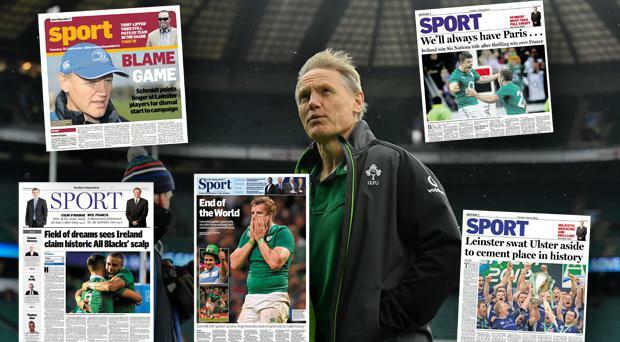 The 53-year-old confirms that he will not take up the IRFU’s offer of a contract extension and will instead step away from coaching and focus on his family following next year’s World Cup.